TKHSW is the proud holder of two world records. On the 3 March 2014, the school entered the Guinness World Record books as part of the World's Largest Samba Band, achieved at the Royal Albert Hall. 1,675 samba-drumming school children played a specially commissioned samba piece which was featured on BBC Blue Peter, The Evening Standard and The Sun. 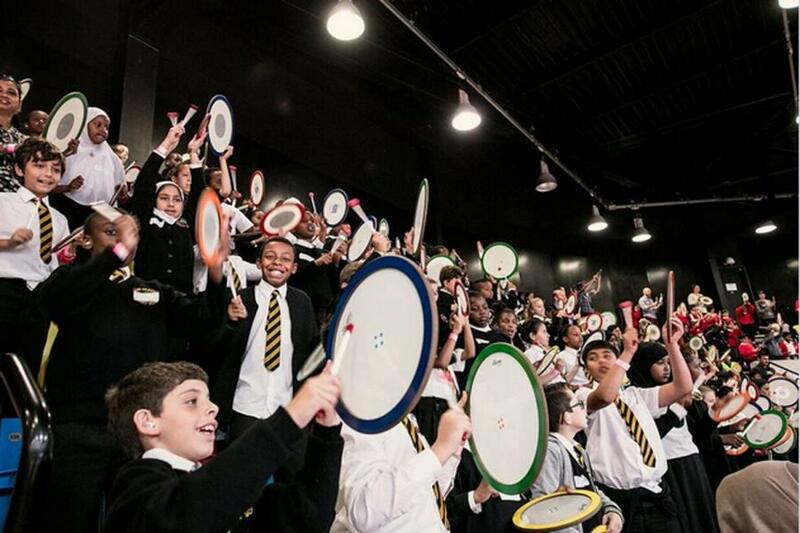 On the 2 October 2016, pupils took part in the World's Largest Drumming Lesson at the Copper Box Arena in London's Queen Elizabeth Olympic Park. Official Guinness World Records adjudicator Pravin Patel announced that the 1,827 kids had smashed the previous record of 1,651 participants set in Brisbane, Australia, in 2012. A further 10,000 had joined via live stream. The event was led by TKHSW Arts teacher Mike Simpson and his Inspire-works team as part of the Bang the Drum 2016 initiative to unite drummer of all ages and abilities across the globe to beat the drum for street children's rights.